This étude is No. 18 of Ernesto Köhler's 25 Romantic Studies, Op. 66. 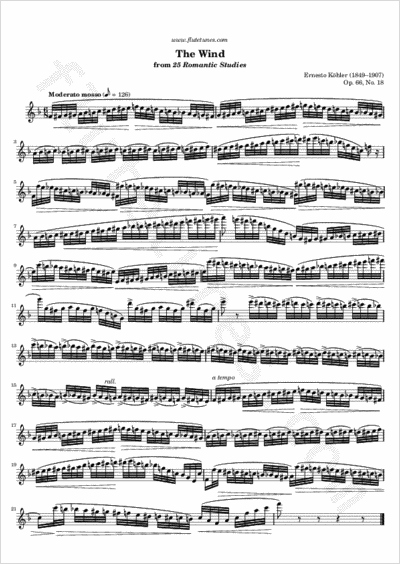 It is a study in chromatic scales, so be careful to play all 32nd notes evenly. Also remember to play with dynamics, to imitate the blowing of the wind!